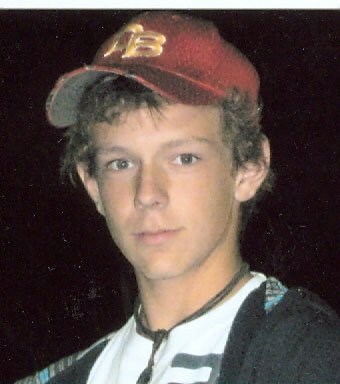 Adam Nolan James, 16, of Gray, died Sunday, August 9, 2009. He was a native of Virginia, son of Lisa C. Grindstaff James and the late Dr. Gary Wayne James. Adam was a member of Central Baptist Church. He played traveling soccer, baseball and Parks and Rec basketball. Adam played freshman baseball and basketball at University High High School. Survivors including his mother are; one brother, Caleb James of Gray; maternal grandparents, Mary Lou Grindstaff and Bud Grindstaff of Hampton; paternal grandmother, Carol James of Gray; special aunts and uncles, Dave and Romona Houston of Gray, Mark and Shelecia Grindstaff of Elizabethton; girlfriend, Missy Buchanan of Gray; several cousins.Services will be private. Memorials may be made to Niswonger Children&apos;s Hospital, 2335 Knob Creek Road, Ste. 101, Johnson City, TN 37604. Lisa and family, I am deeply hurt by this tragedy. You and your family are in my prayers. I have always loved Adam and will continue to love him. He was so special. The memories we have together will remain. May God be with you. Dear Lisa, Caleb, Ramona, Mrs. James and Family, I weep for your pain and loss. May the love of friends give you comfort, may the love of God give you peace. I do not even know what to say at this time. There is nothing harder than seeing a life gone so young. Adam i love you buddy, it was a joy and a privlege to be your basketball coach in middle school. I will miss you and i am very sorry i did not keep in contact better. Ms. James your faimly is in my thoughts and prayers and if there is anything i can do please let me know. I remember the boy who would give more than 100% in basketball. I remember the glorious smile when he sank the long shot from the top of the key. I enjoyed watching him play a game he loved. It all began when I first saw him at Hospitots bouncing the basketball everywhere he went. Thank you for the opportunity to know him and share in his life. And thank you, Lisa, for caring for me as I recovered from open heart surgery ten years ago this year. From Harrisburg, PA, I send prayers to you, Lisa, and your family. I would like to offer our deepest sympathy to your entire family. My son played baseball with Adam this summer and he has had many classes with Caleb this year at University High. I wish there was something I could say or do to make you feel better but I know there are no words to help. Your family will be in our thoughts and prayers. Im sorry for your lost of your son Adam, I didnt get to know adam but from what i got see and what i heard, he had a very outgoing personality and everybody who had known him they all loved him. It’s sad because as a student at Daniel Boone we’ve had many losses but to see Adam not here with us its just so very tragic for all of his peers. He may be gone but truly never forgotten. But now for Adam all we can truly do is carry a smile because for now we know he’s in a better place where no hurt, harm or danger can come his way,so all my thoughts and prayers go out to you and your family, and girlfriend Missy Buchanan..
Lisa and family: My prayers and thoughts are with you during this time of your loss. All is in God’s hands even when we don’t understand. Lean on those around you to gather your strength for tomorrow. Know Our Lord and Savior is holding you and yours and you are in His care. Written in sincere sorrow and condolence. Gail and family: Orfordville, Wisconsin. Lisa, how do I even start? I am so sorry to hear about this whole situation. You are and always will be a very special person to me. I pray that God can bring you and Caleb some comfort during this tragic time. If I can ever do anything for you, please let me know. You and Caleb are in my thoughts and prayers daily. Lisa, I am so sorry to hear of your loss. My thoughts and prayers go out to you in this sad time. God bless you during this sad time. Lisa, You and your family are in our prayers. I pray that God will put his loving arms around you and give you peace. You are a very special person and I love you. Nobody realizes how fragile life is until it’s claimed. I’m a Sophomore a Daniel Boone, i met Adam at the end of first semester my Freshman year. He was a very sweet guy. I’ve talked to him on many occasions in the past. He invited me to come over a few times and i couldn’t make it because i had plans. Looking back i wish i would’ve taken atleast one of those many opportunities now. Adam always said he didn’t have many friends, i wish he could see how many people truly care about him. I can’t imagine what you, your family, Adam’s friends, and Missy are going through right now. Atleast Adam is in Heaven with his father like he really wanted. My prayers are with you throughout this difficult time. If you need anything whatsoever, please do not hesitate to ask me. May the Lord be with you, Chelsea Davis. To The James Family: I dont really know your family personally, my 16 yr old son knows both Caleb and Adam. I just want you to know I am praying for you and my heart has been broken for you and your family but God can provide comfort. I will continue to keep you in my prayers. We are in prayer for your family in your loss. God is powerful and able to heal. May his presence fill and surround you. Words can not express how we feel for your Family at this difficult time. May you stay close to God and draw strength from him. You and your family are in our thoughts and Prayers. We lived on Dean Archer Rd. Often times we followed each other to Universty School, and AJ would laugh and say,”there goes Adam, he is so funny” he made her laugh. As we all know, God holds him close, and he will be MISSED. Dear Lisa and Caleb,words wouldnt amount to much at this time,but only to say the Lord will comfort and His strong arm will carry you.My church is praying and will continue to lift you to Him.WE LOVE YOU BOTH. Lisa, I remember you as a very professional and caring nurse at the Med. Center. May God bring you the comfort you need now, that no one else can give. Lisa, Kenny and I are very sad to hear of your son’s loss. And we are sorry to hear of Gary’s passing. We should have kept in better touch with you. Your family is in our prayers at this sad time. Please know that you have many friends who also feel your pain and are praying for your family. Love from both of us…. Lisa, We are praying for you and Caleb. Our memories of Adam in the toddler Sunday School class at Central will always hold a special place in our hearts. I can not imagine what you and the family are going through. Our prayers are with you and the family.